Why Vein & Vascular Treatments? 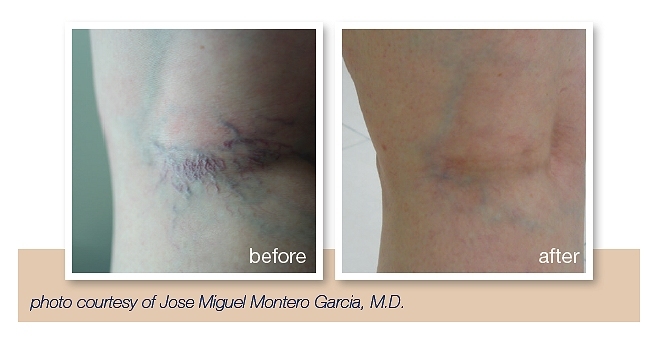 In many cases, improvement is seen immediately after treatment – full clearance of the veins might take several weeks as they slowly fade away. In the case of multiple veins, 2-3 sessions in 6-8 weeks intervals may be needed. 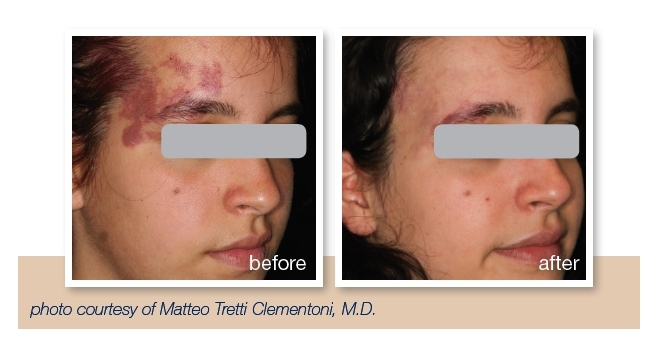 Immediately following treatment, darkening of the vessels may be apparent, with slight redness along the vessel. You should avoid hot baths and excessive physical exercise for 1-2 weeks following your treatment. However, you should be able to continue with your normal activities immediately. The Lumenis® treatments enable your physician to effectively treat spider veins, reticular veins (blue veins), broken capilaries and rosacea. Our unique technology enables tailoring of the light source and energy to target the vascular condition and cause it to fade away. Lumenis® energy-based treatments are not suitable for everyone and carry some risks. Lumenis® Leg Veins & Vascular treatment is not suitable when you have active infections, viral, fungal or bacterial diseases, inflammatory skin conditions or skin cancer. Risks may include: redness, swelling, scarring, or a change of pigmentation. Be sure to consult with your treatment provider before choosing this treatment. 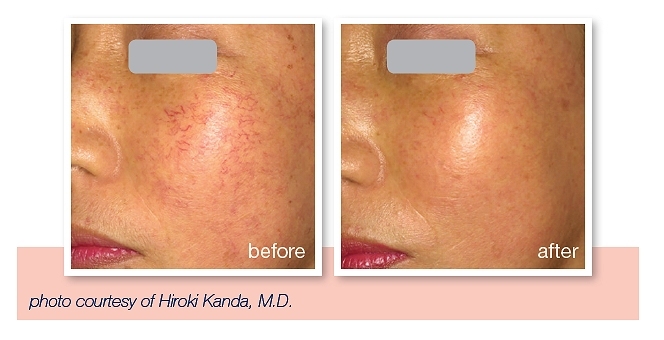 The laser or IPL create heat inside the blood vessels, which closes the vein's walls, eventually causing the vein to disappear. 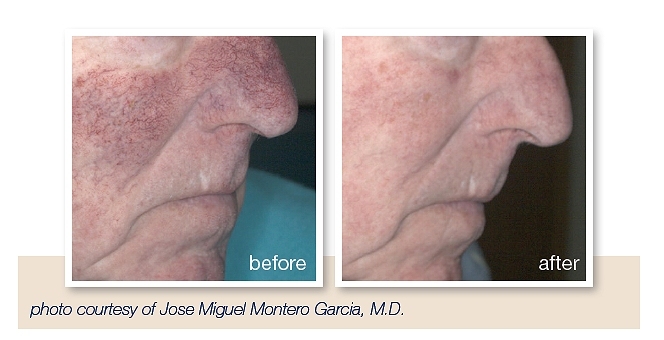 The laser is very precise and only impacts the selected blood vessel and none of the surrounding skin. The IPL filter also targets the blood only and not of the surrounding skin. Both Lumenis technologies enable cooling of your skin between pulses, which reduces the chance of skin damage, producing great results. Just before treatment, the doctor will apply a thin layer of clear gel onto the treatment area. During treatment, your physician will treat the targeted veins by applying a few pulses on each blood vessel source. The treatment will take between 10-20 minutes, depending on the number of blood vessels being treated. During the treatment you may experience a stinging or burning sensation, but it is tolerable.